The John S. McCain National Defense Authorization Act for Fiscal Year 2019, as approved in conference and passed by the House late last week, continues rebuilding capacity, capabilities, and readiness progress begun in FY18, reports the Daily Signal. The House Armed Services Committee’s summary of the $639.1 billion FY19 NDAA shows readiness increases of $36.6 billion to restore strength at sea, $17.7 billion to rehab and replace Army equipment, $40.8 billion to get more aircraft in the air, and $23.5 billion to repair military buildings and other infrastructure. “Extreme isn’t even the right word,” PBS reports with video on conditions fueling California’s destructive fires. US spy agencies see North Korea constructing new missiles, reports The Washington Post. Newly obtained evidence, including satellite photos taken in recent weeks, indicates work underway on one, possibly two liquid-fueled ICBMs just outside Pyongyang. Greed may be partly to blame for the military’s “silent epidemic” of hearing loss, reported as early as 2013 by mySA out of San Antonio, TX. Last week defense contractor 3M agreed to pay $9.1 million to settle claims that it knowingly furnished US service members with defective earplugs, reports Task and Purpose. The general in charge of the US Africa Command describes steps to increase the security of US troops in Africa, adding armed drones and armored vehicles and reviewing medical response time, reports AP. FCW reports that a GAO audit of the US Census bureau suggests time is running short to prepare for a count of the entire population. A bipartisan group of 83 congressmen blast a DoD plan to change how troops transfer their GI Bill benefits to dependents, reports Military Times, calling it unfair and devastating for military morale in a letter to DefSec Jim Mattis. The Air Force’s F-15s are aging faster than F-35s are being fielded, reports Military Times, suggesting Boeing’s new, single-seat F-15X design might fill the gap. Corey J. Coleman, a former FEMA official, is accused of “deeply disturbing” sexual misconduct that spanned years, reports The New York Times. Lockheed is selected to build Japan’s new $1.2 billion radar for two ground-based ballistic missile defense stations guarding against North Korean missile strikes, reports Reuters. Sgt. Kirstie Ennis, the first amputee selected for Pin-Ups For Vets ­calendar, finally got one of her first questions answered, reports Military Times. The 21-year-old was on her second Afghanistan deployment when she suffered severe trauma ultimately resulting in amputation of her left leg. She recalled one of the first questions she asked herself was whether she would be able to wear high heels again. And the answer is yes. Indeed, the answer is yes to a great many activities she might not have expected to continue. The Navy’s first female admiral, Alene Duerk, died July 25, 2018, reports Naval History and Heritage Command. She was 98. Lockheed Martin Corp., Lockheed Martin Aeronautics Co., Fort Worth, Texas, is awarded $16,164,426 for modification P00663 to a previously awarded cost-plus-fixed-fee, firm-fixed-price contract (N00019-02-C-3002). This modification provides for Phase 3 F-35 Joint Strike Fighter Verification Simulation (VSim) / F-35 In-a-Box (FIAB) delivery of updates to the FIAB software model. In addition, this modification provides continued FIAB software model development, integration, validation, verification and support. Work will be performed in Fort Worth, Texas (80 percent); Naval Air Station Patuxent River, Maryland (10 percent); and Marietta, Georgia (10 percent), and is expected to be completed in April 2019. Fiscal 2018 research, development, test and evaluation funds (Air Force and Navy) in the amount of $6,926,436 will be obligated at the time of the award, none of which will expire at the end of the current fiscal year. This contract combines purchases for the Air Force ($4,495,926; 65 percent); and Navy ($2,430,510; 35 percent). The Naval Air Systems Command, Patuxent River, Maryland, is the contracting activity. Lockheed Martin Corp., Lockheed Martin Aeronautics Co., Fort Worth, Texas, is awarded $7,808,741 for modification P00004 to a previously issued order issued against basic ordering agreement (N00019-14-G-0020). This modification provides for support for first of class flying trials and release of the military permit to fly for F-35B Lightning aircraft in support of the government of the United Kingdom. Work will be performed in Salmesbury, United Kingdom (52 percent); Fort Worth, Texas (44 percent); Greenville, North Carolina (2 percent); Orlando, Florida (1 percent); and Patuxent River, Maryland (1 percent), and is expected to be completed in June 2020. International partner funds in the amount of $7,808,741 will be obligated against this modification at time of award, none of which will expire at the end of the current fiscal year. An additional $5,783,000 is being obligated against previously awarded definitized contract for a total of $13,591,741. The Naval Air Systems Command, Patuxent River, Maryland, is the contracting activity. Lockheed Martin Corp., Rotary and Mission Systems, Orlando, Florida, is awarded a $57,883,028 firm-fixed-price, cost-plus-fixed-fee, cost reimbursable contract for the full-rate production of 26 electronic Consolidated Automated Support Systems (eCASS). This contract also provides for eCASS related equipment, kits and test sets in support of various Aircraft Intermediate Maintenance departments, fleet readiness centers, aircraft carriers and L- Class ships. Work will be performed in Orlando, Florida (27 percent); Hunt Valley, Maryland (24 percent); North Reading, Massachusetts (14 percent); San Diego, California (14 percent); Irvine, California (6 percent); Austin, Texas (3 percent); Everett, Washington (2 percent); Bohemia, New York (2 percent); Minneapolis, Minnesota (2 percent); and various locations within the continental US (6 percent), and is expected to be completed in November 2020. Fiscal 2018 aircraft procurement (Navy) funds in the amount of $57,883,028 will be obligated at time of award, none of which will expire at the end of the current fiscal year. This contract was competitively procured via an electronic request for proposal; one offer was received. 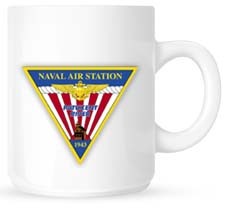 The Naval Air Warfare Center Aircraft Division, Lakehurst, New Jersey, is the contracting activity (N68335-18-C-0681). PAE Aviation and Technical Services LLC, Arlington, Virginia, is awarded $47,928,426 for modification P00010 to a previously awarded indefinite-delivery/indefinite-quantity contract (N00421-15-D-0007) to exercise an option for organizational, selected intermediate, and limited depot-level maintenance, and logistics support services for F-5F Tiger II and F-5N Freedom Fighter aircraft. Work will be performed at the Naval Air Station (NAS) Key West, Florida (34 percent); NAS Fallon, Nevada (33 percent); and the Marine Corps Air Station Yuma, Arizona (33 percent), and is expected to be completed in July 2019. Fiscal 2018 operations and maintenance (Navy Reserve) funds in the amount of $31,964,777 are being obligated at time of award, all of which will expire at the end of the current fiscal year. The Naval Air Warfare Center Aircraft Division, Patuxent River, Maryland, is the contracting activity. General Dynamics Mission Systems Inc., Fairfax, Virginia, is awarded a $37,257,564 cost-plus-incentive-fee contract modification under the previously awarded contract N00024-09-C-6250 to exercise options for Navy systems modernization and engineering services. The international partner and the work location is not specified due to operational sensitivities. Work is expected to be completed by July 2019. Fiscal 2016 and 2018 other procurement (Navy); fiscal 2017 and 2018 research, development and evaluation, (Navy); and 2015 shipbuilding and conversion (Navy) funding in the amount of $6,828,002 and international partner funds in the amount of $1,352,797 will be obligated at time of award. Funding in the amount of $181,631 will expire at the end of the current fiscal year. The Naval Sea Systems Command, Washington, District of Columbia, is the contracting activity. Motorola Solutions Inc., Linthicum Heights, Maryland, is awarded a $29,771,612 fixed-price indefinite-delivery/indefinite-quantity contract to procure commercially available hardware and software to modernize 57 public safety radio subsystems and two Chemical Biological Incident Response Force public safety radio subsystems for Project 25 Phase II Compliant Land Mobile Radio in support of the National Guard Bureau Civil Support Team (CST) for the Army and National Guard. Each CST public safety radio subsystem is comprised of 28 portable radios, seven mobile radios and 12 vehicle adapter kits. Work will be performed in Linthicum Heights, Maryland. Fiscal 2016, 2017 and 2018 other procurement (Army); fiscal 2018 other procurement (National Guard and Department of Defense) working capital funds in the amount of $11,221,544 are being obligated at the time of award, $1,749,457 of which will expire at the end of the current fiscal year. This contract was competitively procured via an electronic request for proposals; two offers were received. The Naval Air Warfare Center Aircraft Division, Lakehurst, New Jersey, is the contracting activity (N68335-18-D-0019). Northrop Grumman Systems Corp., Herndon, Virginia, is awarded $18,200,000 for firm-fixed-price delivery order N0001918F0478 against a previously issued basic ordering agreement (N00019-15-G-0026). This order procures three aircraft B-Kits and associated spares for the Multi-Role Tactical Common Data Link modification upgrade to the E-6B aircraft. Work will be performed in Salt Lake City, Utah (73 percent); San Diego, California (25 percent); and Boston, Massachusetts (2 percent), and is expected to be completed by August 2020. Fiscal 2017 and 2018 aircraft procurement (Navy) funds in the amount of $18,200,000, will be obligated at time of award, none of which will expire at the end of the current fiscal year. The Naval Air Systems Command, Patuxent River, Maryland, is the contracting activity. Atlantic Diving Supply Inc., doing business as ADS, Virginia Beach, Virginia (SPE8EH-18-D-0007); W.S. Darley & Co., Itasca, Illinois (SPE8EH-18-D-0008); Unifire Inc., Spokane, Washington (SPE8EH-18-D-0009); Mallory Safety and Supply, Longview, Washington (SPE8EH-18-D-0010); Federal Resources Supply Co., Stevensville, Maryland (SPE8EH-18-D-0011); and L.N. Curtis and Sons, Oakland, California (SPE8EH-18-D-0012), are sharing a maximum $90,000,000 bridge contract under solicitation SPM8EH-12-R-0009 for fire and emergency services equipment. These are firm-fixed-price, indefinite-delivery/indefinite-quantity, 90-day bridge contracts. These were sole-source acquisitions using justification 10 U.S. Code 2304 (c)(1), as stated in Federal Acquisition Regulation 6.302-1. Locations of performance are California, Illinois, Maryland, Virginia and Washington, with an Oct. 29, 2018, performance completion date. Using military services are Army, Navy, Air Force, Marine Corps and Coast Guard. Type of appropriation is fiscal 2018 defense working capital funds. The contracting activity is the Defense Logistics Agency Troop Support, Philadelphia, Pennsylvania. Leidos Inc., Reston, Virginia, was awarded a $60,005,230 modification (P00024) to contract W911QX-16-C-0012 for operations and sustainment services in support of the Saturn Arch Quick Reaction Capability continued operations, sustainment, and integration program. Work will be performed in Bridgewater, Virginia, with an estimated completion date of Sept. 16, 2019. Fiscal 2018 operations and maintenance (Army) funds in the amount of $23,969,904 were obligated at the time of the award. US Army Contracting Command, Aberdeen Proving Ground, Maryland, is the contracting activity. SourceAmerica, Vienna, Virginia, was awarded a $54,500,000 firm-fixed-price contract for sustainment and other services for real property on Fort Knox, Kentucky. One bid was solicited via the Internet with one bid received. Work will be performed in Fort Knox, Kentucky, with an estimated completion date of July 31, 2022. Fiscal 2018 operations and maintenance (Army) funds in the amount of $16,000,000 were obligated at the time of the award. US Army Mission and Installation Contracting Command, Fort Knox, Kentucky, is the contracting activity (W9124D-18-C-0013). The Whiting-Turner Contracting Co., Baltimore, Maryland, was awarded a $54,345,019 firm-fixed-price contract to construct a new Winchester Engineering and Analytical Center for the Food and Drug Administration in Winchester, Massachusetts. Bids were solicited via the Internet with six received. Work will be performed in Winchester, Massachusetts, with an estimated completion date of July 30, 2021. Fiscal 2016 civil works funds in the amount of $54,345,019 were obligated at the time of the award. US Army Corps of Engineers, Concord, Massachusetts, is the contracting activity (W912WJ-18-C-0013). Maersk Line Limited, Norfolk, Virginia, was awarded a $14,154,781 modification (0001 62) to contract W52P1J-14-G-0023 for Army Prepositioned Stock-4, Japan Watercraft, logistics support services under the Enhanced Army Global Logistics Enterprise program. Work will be performed in Yokohama, Japan, with an estimated completion date of Sept. 17, 2019. Fiscal 2018 operations and maintenance (Army) funds in the amount of $3,500,000 were obligated at the time of the award. U.S. Army Contracting Command, Rock Island Arsenal, Illinois, is the contracting activity. Applied Research Associates, Albuquerque, New Mexico, has been awarded a $48,700,000 basic indefinite-delivery/indefinite-quantity contract for Joint Munitions Weapons Effectiveness Manuals and a $4,024,270 task order. The contract provides for software development and training. Work will be performed at Eglin Air Force Base, Florida; Wright-Patterson Air Force Base, Ohio; and Aberdeen Proving Ground, Maryland. This contract has a five-year ordering period with work expected to be completed Aug. 6, 2024. This award is the result of a competitive acquisition. Fiscal 2018 research, development, test and evaluation funds in the amount of $300,000 are being obligated at the time of award. Air Force Test Center, Eglin Air Force Base, Florida, is the contracting activity. The contract number is FA2487-18-D-0129; the first delivery order number is FA2487-18-F-1029. Deloitte Consulting LLP, Arlington, Virginia (N00189-18-D-Z056); Accenture Federal Services LLC, Arlington, Virginia (N00189-18-D-Z057); Universal Consulting Services Inc., Fairfax, Virginia (N00189-18-D-Z058); Booz Allen Hamilton, McLean, Virginia (N00189-18-D-Z059); and Cape Fox Federal Integrators, Manassas, Virginia (N00189-18-D-Z060), are awarded an estimated $74,470,099 multiple award cost-plus-fixed-fee, indefinite-delivery/indefinite-quantity contracts that will include terms and conditions for the placement of both cost-plus-fixed-fee and firm-fixed-price task orders to provide contractor support of policy development, decision making, and management and administration in the functional areas of health management, logistics, and operational support to the programs within the Readiness and Health Directorate of the Bureau of Medicine and Surgery. The contracts will run concurrently and will include a 60-month ordering period with no option periods. The ordering period of the contract is expected to be completed by July 2023. 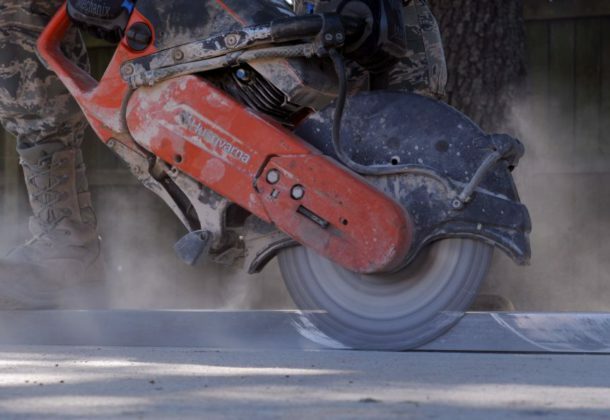 Work will be performed at various contractor locations throughout the U.S. (85 percent) and percentage of work at each of those locations cannot be determined at this time. Work will also be performed at government facilities in Falls Church, Virginia (15 percent). Fiscal 2018 operations and maintenance (Navy) funds in the amount of $100,000 will be obligated ($20,000 on each of the five contracts to fund the contracts’ minimum amounts) and funds will expire at the end of the current fiscal year. This contract was competitively procured for the award of multiple contracts pursuant to the authority set forth in Federal Acquisition Regulation 16.504. The requirement was solicited through the Federal Business Opportunities website, with twelve offers received. Naval Supply Systems Command Fleet Logistics Center Norfolk, Contracting Department Philadelphia, Pennsylvania, is the contracting activity. General Dynamics – National Steel and Shipbuilding Co. Norfolk, Virginia, is awarded a $13,748,285 modification under previously awarded contract (N00024-18-C-4429) for the execution of USS Mesa Verde (LPD 19) Docking Phased Maintenance Availability. This effort shall provide for repair of engine casualties as well as maintenance. Work will be performed in Norfolk, Virginia, and is expected to be completed by May 2020. Fiscal 2018 operations and maintenance (Navy) funding in the amount of $13,748,285 will be obligated at time of award and will expire at the end of the current fiscal year. The Naval Sea Systems Command, Washington, District of Columbia, is the contracting activity. Huntington Ingalls Inc., Pascagoula, Mississippi, is awarded a $7,997,406 firm-fixed-price modification under previously awarded contract (N00024-18-C-2327) to exercise options for Guided Missile Frigate (FFG(X)) Conceptual Design. This modification is for additional Guided Missile Frigate (FFG(X)) Conceptual Design efforts. Huntington Ingalls Inc. will be maturing their proposed ship design to meet the FFG(X) System Specification. The Conceptual Design effort will inform the final specifications that will be used for the Detail Design and Construction Request for Proposal that will deliver the required capability for FFG(X). The conceptual design phase will reduce cost, schedule, and performance risk for the follow-on Detail Design & Construction contract. Work will be performed in Pascagoula, Mississippi (95 percent); and Ocean Springs, Mississippi (5 percent), and is expected to be completed by June 2019. Naval Sea Systems Command (NAVSEA) is exercising contract options for this same scope of work with each of the five companies awarded conceptual design contracts for the FFG(X) program, however, two of the five contract options do not exceed the $7 million threshold for a separate announcement (see Defense Federal Acquisition Regulation Supplement 205.303(a)(i)). The complete list of companies to be awarded contract options on their respective contracts for this scope include: Austal USA LLC (Austal), Mobile, Alabama – $6,399,053; General Dynamics Bath Iron Works, Bath, Maine – $7,950,000; Huntington Ingalls Inc., Pascagoula, Mississippi – $7,997,406; Lockheed Martin Inc., Baltimore, Maryland – $6,972,741; and Marinette Marine Corp., doing business as Fincantieri Marinette Marine, Marinette, Wisconsin – $7,982,991. Fiscal 2018 research, development, test and evaluation (Navy), funding in the amount of $2,600,000 will be obligated at time of option exercise award and will not expire at the end of the current fiscal year. The Naval Sea Systems Command, Washington, District of Columbia, is the contracting activity. Marinette Marine Corp., doing business as Fincantieri Marinette Marine, Marinette, Wisconsin, is awarded a $7,982,991 firm-fixed-price modification under previously awarded contract (N00024-18-C-2328) to exercise options for Guided Missile Frigate (FFG(X)) Conceptual Design. This modification is for additional Guided Missile Frigate (FFG(X)) Conceptual Design efforts. Fincantieri Marinette Marine will be maturing their proposed ship design to meet the FFG(X) System Specification. The Conceptual Design effort will inform the final specifications that will be used for the Detail Design and Construction Request for Proposal that will deliver the required capability for FFG(X). The conceptual design phase will reduce cost, schedule, and performance risk for the follow-on Detail Design & Construction contract. Work will be performed in Arlington, Virginia (40 percent); Marinette, Wisconsin (25 percent); Moorestown, New Jersey (18 percent); Iron Mountain, Michigan (7 percent); Crozet, Virginia (5 percent); and Metairie, Louisiana (5 percent), and is expected to be complete by June 2019. Naval Sea Systems Command is exercising contract options for this same scope of work with each of the five companies awarded conceptual design contracts for the FFG(X) program, however, two of the five contract options do not exceed the $7 million threshold for a separate announcement (see Defense Federal Acquisition Regulation Supplement 205.303(a)(i)). The complete list of companies to be awarded contract options on their respective contracts for this scope include: Austal USA LLC (Austal), Mobile, Alabama – $6,399,053; General Dynamics Bath Iron Works, Bath, Maine – $7,950,000; Huntington Ingalls Inc., Pascagoula, Mississippi – $7,997,406; Lockheed Martin Inc., Baltimore, Maryland – $6,972,741; Marinette Marine Corp., doing business as Fincantieri Marinette Marine, Marinette, Wisconsin – $7,982,991. Fiscal 2018 research, development, test and evaluation (Navy), funding in the amount of $2,600,000 will be obligated at time of option exercise award and will not expire at the end of the current fiscal year. The Naval Sea Systems Command, Washington, District of Columbia, is the contracting activity. General Dynamics Bath Iron Works, Bath, Maine, is awarded a $7,950,000 firm-fixed-price modification under previously awarded contract (N00024-18-C-2326) to exercise options for Guided Missile Frigate (FFG(X)) Conceptual Design. This modification is for additional Guided Missile Frigate (FFG(X)) Conceptual Design efforts. General Dynamics Bath Iron Works will be maturing their proposed ship design to meet the FFG(X) System Specification. The Conceptual Design effort will inform the final specifications that will be used for the Detail Design and Construction Request for Proposal that will deliver the required capability for FFG(X). The conceptual design phase will reduce cost, schedule, and performance risk for the follow-on Detail Design & Construction contract. Work will be performed in Bath, Maine (81 percent); Spain (10 percent); and Portsmouth, Rhode Island (9 percent), and is expected to be completed by June 2019. Naval Sea Systems Command is exercising contract options for this same scope of work with each of the five companies awarded conceptual design contracts for the FFG(X) program, however, two of the five contract options do not exceed the $7 million threshold for a separate announcement (see Defense Federal Acquisition Regulation Supplement 205.303(a)(i)). The complete list of companies to be awarded contract options on their respective contracts for this scope include: Austal USA LLC (Austal), Mobile, Alabama – $6,399,053; General Dynamics Bath Iron Works, Bath, Maine – $7,950,000; Huntington Ingalls Inc., Pascagoula, Mississippi – $7,997,406; Lockheed Martin Inc., Baltimore, Maryland – $6,972,741; Marinette Marine Corp., doing business as Fincantieri Marinette Marine, Marinette, Wisconsin – $7,982,991. Fiscal 2018 research, development, test and evaluation (Navy), funding in the amount of $2,600,000 will be obligated at time of option exercise award and will not expire at the end of the current fiscal year. The Naval Sea Systems Command, Washington, District of Columbia, is the contracting activity. The Victor Group, San Antonio, Texas, has been awarded a $9,505,102 firm-fixed price contract for Healthcare Aseptic Management Services. The contract provides for medical aseptic housekeeping, waste management, and linen management. These services constitute the enterprise-level Healthcare Aseptic Management Services requirement for the U.S. Air Force Medical Service as directed by the Healthcare Aseptic Management Services Requirement Approval Document. Work will be performed at Andrews Air Force Base, Maryland; Bolling AFB, Maryland; Dover AFB, Delaware; Minot AFB, North Dakota; Grand Forks AFB, North Dakota; Hanscom AFB, Massachusetts; Langley AFB, Virginia; Scott AFB, Illinois; Seymour-Johnson AFB, North Carolina; Whiteman AFB, Missouri; and Wright-Patterson AFB, Ohio. The awards include a transition period from Aug. 16, 2018 – Sept. 30, 2018, funded with fiscal year 2018 operations and maintenance funds. A base-year period, plus four option periods will follow the transition period from Oct 1, 2018 – Sept. 30, 2023. The base period will be funded incrementally using fiscal year 2019 operations and maintenance funds. This award is the result of a competitive, small business set-aside acquisition. Air Force Installation Contracting Agency, Joint Base San Antonio, Texas, is the contracting activity (FA8052-18-C-0010). Shell Soft JV, Fairfax, Virginia, has been awarded a $7,377,308 firm-fixed price contract for Healthcare Aseptic Management Services. The contract provides for medical aseptic housekeeping, waste management, and linen management. These services constitute the enterprise-level Healthcare Aseptic Management Services requirement for the U.S. Air Force Medical Service as directed by the Healthcare Aseptic Management Services Requirement Approval Document. Work will be performed at Cannon Air Force Base, New Mexico; Holloman AFB, New Mexico; Kirtland AFB, New Mexico; Davis-Monthan AFB, Arizona; Luke AFB, Arizona; Dyess AFB, Texas; Goodfellow AFB, Texas; Laughlin AFB, Texas; Edwards AFB, California; Los Angeles AFB, California; Vandenberg AFB, California; JBSA San Antonio, Texas; and Sheppard AFB, Texas. The awards include a transition period from Aug. 16, 2018 – Sept. 30, 2018, funded with fiscal year 2018 operations and maintenance funds. A base-year period, plus four one-year-option periods will follow the transition period from Oct. 1, 2018 – Sept. 30, 2023. The base period will be funded incrementally using fiscal year 2019 operations and maintenance funds. This award is the result of a competitive, small business set-aside acquisition. Air Force Installation Contracting Agency, Joint Base San Antonio, Texas, is the contracting activity (FA8052-18-C-0008). Atlantic Diving Supply Inc., Virginia Beach, Virginia, was awarded a $49,000,000 firm-fixed-price contract for the Modular Handgun Holster to be used with the Modular Handgun System M17 and M18 pistols. Bids were solicited via the Internet with six received. Work locations and funding will be determined with each order, with an estimated completion date of July 29, 2023. US Army Contracting Command, Aberdeen Proving Ground, Maryland, is the contracting activity (W911QY-18-D-0223). Inquip Associates Inc., McLean, Virginia, was awarded a $23,599,742 firm-fixed-price contract for levee improvement construction. Bids were solicited via the Internet with one received. Work will be performed in Sacramento, California, with an estimated completion date of June 30, 2030. Fiscal 2017 and 2018 general construction and non-federal sponsor funds in the combined amount of $23,599,742 were obligated at the time of the award. US Army Corps of Engineers, Sacramento, California, is the contracting activity (W91238-18-C-0022).